Are you looking for a stylish door knob to accentuate any room in your home? 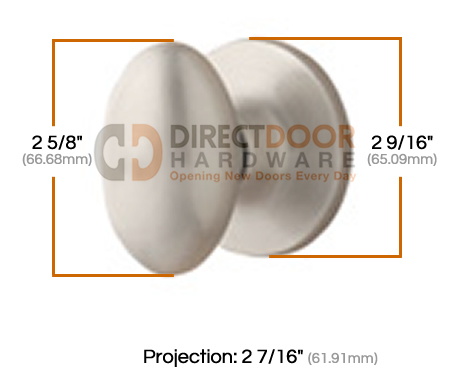 Well, egg-shaped doorknobs are extremely popular nowadays, and they seem to fit in almost any setting. The only problem is that it's very hard to find a good egg-shaped knob for less than $30. That's where the Arapaho doorknob comes in. 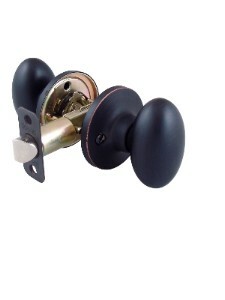 Because of its unique hollow formed-brass design, the Arapaho knob is a much more cost-effective option. And coming from Sure-Loc, you know it will be high quality. Check it out! Do you prefer the feel of solid forged brass? You might be interested in Sure-Locs Canyon doorknob. Get yours today! We are so happy with these doorknobs - they look fabulous and fit into our home perfectly. 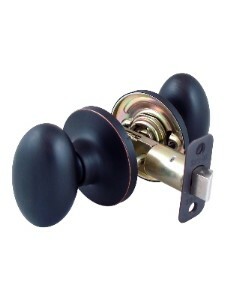 We replaced all the doorknobs in our home with these, and they were extremely easy to install. We are very happy! We ordered enough sets to redo all the doors in our home. We have dummy knobs, privacy and keyed knobs. After a year of use all are working perfectly. We'd order these again in a heartbeat! Some of your egg shaped doorknobs do not sit straight up and down, but point about 10 degrees to the right. Looks odd. The door knobs we purchased were much less expensive than the ones in the local stores, and all work very well and look great! I purchased these to replace the "contractor's special" ugly brass finish door knobs in my house. They look so much better. For the price, I am very happy with them. One thing I wish were better is the quality of the finish. After a year +/- of use, I can see small spots on a couple of knobs where the dark finish has worn off to reveal a copper color underneath. Overall though, I was happy with this product and Direct Door hardware was great to work with. Used these to replace old round door handles at beach house. The egg shape is easy to handle and does not slip lime a round shape. Not sure why people even use round handles anymore. They slip when hands are wet or if you have lotion on your hands. These were easy to install, although I did have to drill a slightly larger hole to accommodate the spindle as the old door handle was a different brand. Please note that these are not heavy duty door handles, but for the price quality good and very attractive. Great looking product. Installation is simple with all necessary components supplied. Mechanical operation is just OK. Bottom line is if you are good with the cheap feel and function you can't beat the price for the look of this hardware. Lock set came as promised and was easy to install. The mechanism with the warranty are great! Would order again as needed. Nice looking knobs, but they need to be turned a little too far to open for my taste. Service and delivery and overall quality for the price is very good though. I have no complaints with the looks and feel of my locks, but two of them have failed in the three years that I've had them. I had all five of my outdoor locks keyed alike and now I've had to replace two with different locks. I will have to have a locksmith rekey them. My original locksmith told me these locks were not made well and now I believe him. 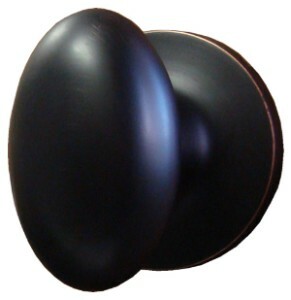 I ordered the Arapaho Egg shaped door knobs for my new home and have been very pleased with them. They are in such a great price range for the type of knob that they are. We have been so happy with the custom look they add to our home. Would definitely recommend them to anyone wanting a great knob for a great price. I was looking for an egg shaped doorknob and I didn't want to pay for some of the more expensive brands. These were a great price and my husband installed them easily. They have a bit of shading to them that I like. I accidently ordered some extra bed/bath and did not order some closets and after calling, I was able to exchange for the right knobs. I was Very Satisfied with the products and the excellent service. I bough these door knobs because they are a little distinctive. They worked out great. Nicely priced and good quality. We were very happy with our purchase. The price was great and the quality is very nice. Good quality, great value and good looks. 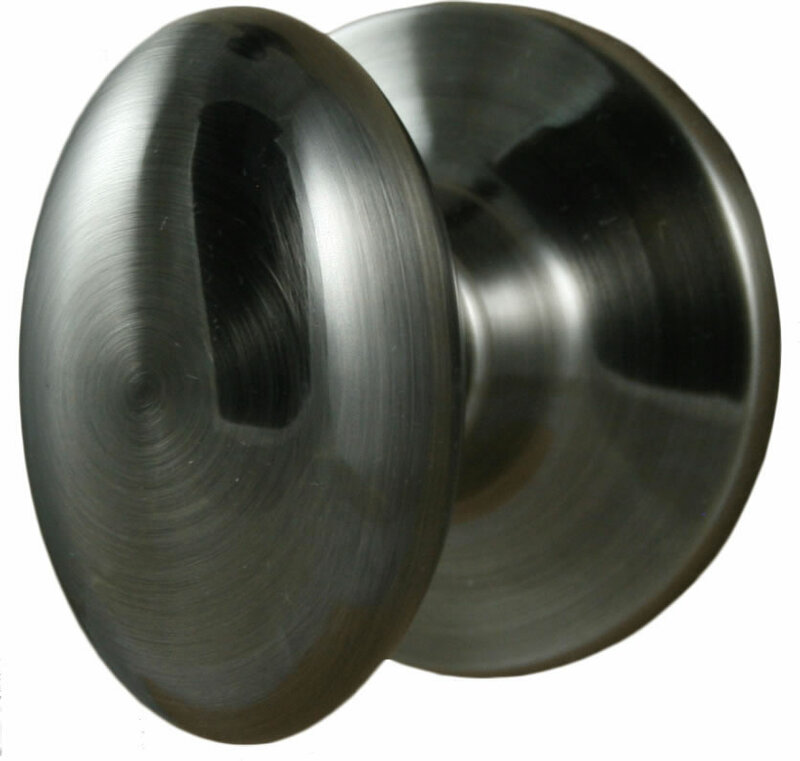 We love our new satin nickel egg shape door knobs. They look very elegant and sophisticated. They are a great asset to our decor. I've gotten compliments on this design in my house. I replaced polished brass lever-style handles with these and I like them. They are easy to operate. The locks are a little noisier than the previous but the price was amazing. Overall, I am very happy with these. Easy to install and a perfect retrofit. I replaced all the door hardware in our house with these Arapaho Knobs. They were super easy to install, and they look great! I really like the finish on them. I have had some of these knobs for over a year now and the finish has not worn in any way. Great product for fair price. Exceptional customer service. 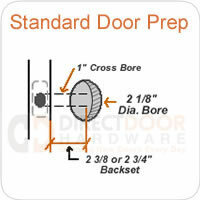 Will purchase from www.directdoorhardware.com again. Matched our the knobs in our older house perfectly. It only took me three other door knobs before I got it right. This is perfect! Items look good and arrived promptly, but won't be installed until later this summer when house built. LOVE THESE KNOBS THEY HAVE BEEN VERY POPULAR WITH ALL OF MY CUSTOMERS. THANK YOU FOR YOU QUICK DELIVERY AND QUALITY PRODUCTS. I bought the back door knobs. They've been in for a while now and work and look great. I am so very happy with the knobs. I removed all of the old gold lever hardware and replaced it with these. They are clean, sleak, and very attractive. The installation was a breeze, and the price was unbeatable! We bought it for our 1890's home, and it fits right into the vintage feel. Great product for a great price! We have all the original old doors (that all vary in width) and was so grateful to find a choice of 5 different strike plates included in the box that allowed us to customize the fit. Just rec'd our new doorknobs today! 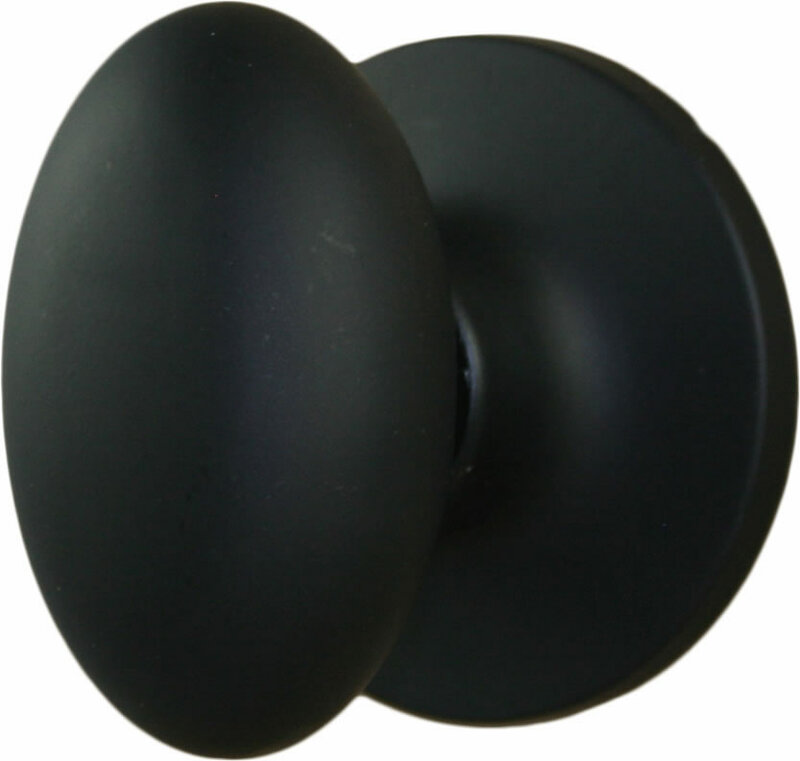 We had replaced our interior doors and ordered the Sure-Loc Egg Shaped knobs in flat black.They are are so elegant looking! They are gorgeous!! Told my husband I just wanted to sit at the end of the hall and look at my doors!! I am very happy with my new door knobs. It has totally updated my house and it is exactly what I was trying to accomplish. They are very simple but sophisticated looking. They are not as heavy as I thought they would be but I'm sure the price of the knob dictates it's weight. I paid someone to install them but I don't think they were difficult to install. I would definately recommend them to anyone that is trying to update their home at a reasonable price. It is well worth the cost! We upgraded all our door knobs in the house and I love the egg shape. I found they are much easier to open and grab when your hands are full. It really upscaled the look of the house. We love our Sure-Loc egg knobs!! They are the perfect accent to our home. Not only do the knobs add a look great, but their operation is smooth and the installation simple. My husband and I installed new doors throughout the house. With the door upgrade, we absolutely couldn't put on the old 1970's era, mismatched gold and silver knobs again. A quick trip online brought me to this website, and we picked put these knobs. Shipping was fast, installation was a snap and the knobs are represented really well online (colors are true). I would recommend these knobs to anyone, great price and great service from this site! I really love these and you really can't beat the price, breat value and an easy way to feel like I've upgraded the house I am renting. . These are the best doorknobs I have been able to find. We replaced all of the doorknobs in our house with these. I highly reccommend them! You will not be disappointed! Great product for the price. Easy to install and seems of great quality. These doorknobs were easy to install and really updated my space. Be careful on the install to make sure they are truly vertical. The knobs have been installed for about 5 months and look and operate great. We've had people ask where we purchased them even. Definitely cheaper than the local big box hardware stores. Bonus of great customer service- we had two privacy knobs with stuck locks and the parts were sent asap. Major upgrade to my home. Very popular with home buyers and in this price range Sure-lock is the best value. We ordered a number of them a few years ago and were so pleased with them we ordered more. Easy to install and great price for this excellent product. We purchased these door knobs in 2008 for our new house. Quick shipping and a quality product. Will order again from this company. Lots of compliments from our guests. We also ordered cabinet knobs for bath and kitchen cabinets. Same beauty and great quality. Great price too! 2nd time I have used these door knobs in a renovation. I think they are a great value for the money. I had to order a 2nd set of screws for one of the knobs and they were delivered promptly without any hassle. I installed a bunch of these knobs in my home a few years back. 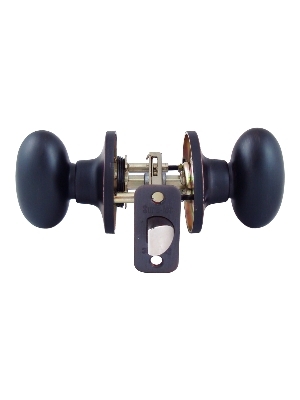 They are your typical hollow knob, but with the popular egg shape. The egg shape is really popular and generally a lot more expensive than these Sure-loc knobs so i thought they were a great deal. Haven't had any issues with any of the knobs. I've had a home with Weiser locks and one with Schlage and these worked just as well in my opinion and were less expensive. Does this knob come as a set with front and back? the damaged part i need to replace is the part with the screws to hod it to the door… thank you… how do i arrange to buy both parts or a complete set? How do you unlock Sure-loc Arapaho egg shaped privacy door locks? There is no key hole just a hole on the right side of the door knob. Does the Sure Loc Arapacho egg knob include 2knobs in the privacy collection? 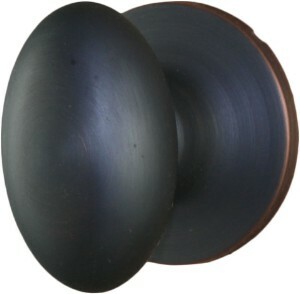 Do you have a picture of this door knob in oil rubbed bronze? Yes, just choose the oil rubbed finish option and the image will change so you can see what it looks like. And yes, a privacy set will include a complete set for one door - two knobs a latch, strike plate and mounting screws. Doe this door knob come in a single dummy doorknob? It does. You can go to the link below for the Arapaho knob and select the dummy function in the drop-down menu. I have brass, egg shaped dummy doornobs. The mount to the door by a round plate with a square stem. The knob slides onto the stem, and is held on by a allen head set screw. 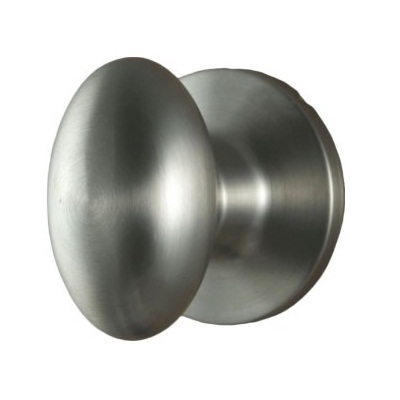 Do you have satin nickel replacements for this kind of knob? Do you have knobs that would utilize the current mounting? do your passage door knobs all the interior hardware included? Are the screws hidden in the rosette? is a double dummy set 2 or 4 knobs? Is it possible to just replace the knobs without the mechanism? Our door knobs function well, they are just old and ugly.